DESCO Group recently published a new job circular on their official website. This job circular for SSS/HSC/Diploma/BSC Engineer. In this job has a total 216 posts. Dhaka Electric Supply Company (DESCO) Limited entrusted with the responsibilities of operation, maintenance & development of the power system network and distribution of electricity within most of the areas of Dhaka North City Corporation (DNCC), Purbachal and part of Tongi area. DESCO invites application from eligible candidate for appointment in the following posts on contractual basis. Below we added this job circular full details. Educational Requirements: SSC/HSC/ Diploma/ Bsc Engineer. Download This job circular full PDF file. 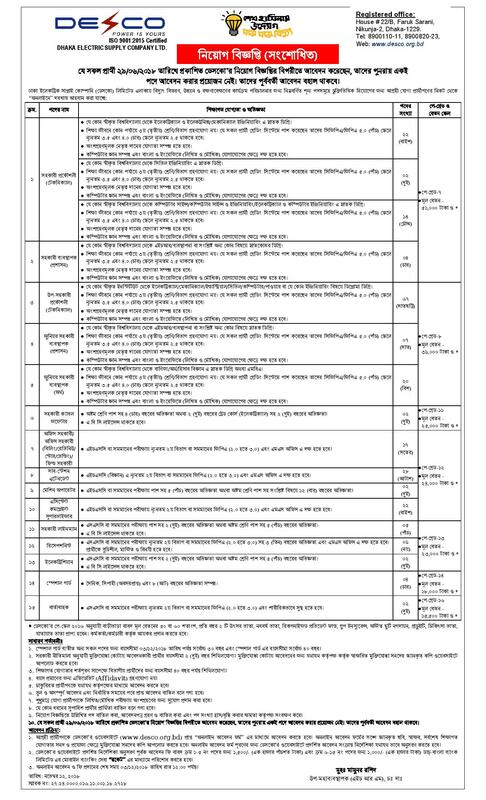 Below we added this job circular PDF file download link.